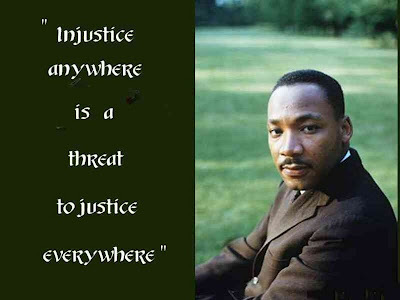 ILLINOIS OPEN ORGANIZATION SALUTES DR. MARTIN LUTHER KING, JR.
Illinois Open believes it is the right of all adopted men and women to have access to their original birth certificates unaltered and free from falsification. 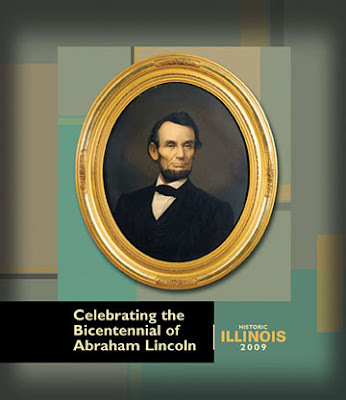 Adoptees know that if Abraham Lincoln and Dr. Martin Luther King, Jr. were alive today, they would be challenging the state of Illinois to treat all adoptees on a par with all non-adopted citizens. ADOPTEES: WHEN IS ENOUGH, ENOUGH? Here are two letters that I wrote to the CHICAGO SUN TIMES and the CHICAGO TRIBUNE, just three short months apart. The first was published by the CHICAGO SUN TIMES on Thursday, May 29, 2003. 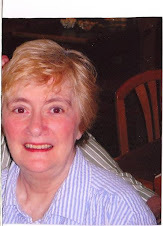 “I am a retired Chicago school-teacher who was adopted in infancy. I was so happy to read about Steve Cochran’s reunion with his birth family in Robert Feder’s column (May 20) “Cochran’s adoption tale makes for poignant radio.” Whenever a well-known personality talks publicly about the issues surrounding his or her adoption, it helps other people to understand one unique problem that still faces nearly all adopted adults today: All of our adoption records are permanently sealed from us. “Feder told us that Cochran began his search for his birth parents in early April “with the help of two lawyers and a private investigator.” Imagine: A 42-year old man needed to hire three professionals to find out what his origins were – something that every non-adopted adult can find out for $10 at any branch of the Public Health Department or at any currency exchange. “In Illinois, adopted adults have to go to court and prove good cause in order to get their birth records – a procedure that is complicated, costly, time-consuming, and iffy at best. “We adopted men and women do not want pity, sympathy or special favors. But we also do not want government management of our personal affairs. This is the other letter.I wrote it to the CHICAGO TRIBUNE which published it on Sunday,August 23, 2003 in the VOICE OF THE PEOPLE section. WHY CAN’T ADOPTEES BE TREATED LIKE EVERYONE ELSE? "The Aug.5 article, (“Adoptees get help to unlock the past: State Rep. Sara Feigenholtz struggled to find her birth mother, then fought for 10 years to increase adults’ access to their adoption records,” page 1.) The article extols the virtues of Illinois’ adoption registry and confidential intermediary system. "It praises changes that proponents say will make it easier for adopted adults to reunite with their biological kin.
" I was extremely disappointed, however, that nowhere in the article did I find a mention of the most fundamental fact of all: In Illinois, adopted adults cannot get their original birth certificates without a court order.
" Adult adoptees are no closer to being able to get their original birth certificates today, with adoption registries and confidential intermediaries, than they were 50 years ago. "Rep. Feigenholtz (D-Chicago) can make updates and improvements to the Illinois Confidential Intermediary Act ‘til the cows come home. "Still, it doesn’t affect the bottom line: Adult adoptees in Illinois are the only group of citizens who cannot get their original birth certificates without first obtaining a court order. "I am a 65 year-old adopted woman – a retired Chicago Public School teacher. I still cannot walk into any department of public health, office of vital records, or currency exchange, fill out a form, write a check for $10 and come away an hour later with my original birth certificate.
" That’s how all the other citizens in our state get copies of their birth certificates – the ones who weren’t adopted. "The state doesn’t much care what these particular citizens do with their certificates. So long as they show the proper identification, it’s theirs for the asking.
" But it’s not ours for the asking.
" In 1994, I petitioned the county clerk for a confidential intermediary. This procedure cost me $220 in court filing fees, $40 to put my name into the Illinois Adoption Registry, and $550 upfront to a court-appointed confidential intermediary from an adoption agency.
" Two years later, I still had no original birth documents. "Next step – go back to court. "In 1997, I petitioned the Circuit Court of Cook County to release to me certified copies of my original birth certificate and all the documents contained in my adoption file, requiring another $220 filing fee. "In the fall of that year, my petition wended its way through the legal system. "After my initial filing, I had to serve notice to the Cook County Clerk and to the state Department of Public Health – for another $150. Finally, I pleaded my case before a circuit court judge. "Two weeks later, he ruled in my favor: On January 6, 1998, at the ripe old age of 60, I laid eyes on my own birth certificate for the first time. This feat cost $1,170 and took nearly three years.
" I’ll take equal treatment under the law instead." In 2003, the same year that these two letters were published, the state of Georgia was considering a true open records bill for adopted adults. This bill had passed in the House and was up for a vote in the Senate. A Georgia Senator rose to advise his fellow senators that adoptees didn't need another way to get their birth certificates. "All they have to do is go to court," the Senator assured his colleagues. And guess what? The Georgia Senate voted down the good bill.